The pills will contain individual-specific bacteria to cure diseases. Scientists are looking into the “motherload” of drug sources for human diseases: our own guts. Around two percent of our body weight is from the bacteria in our body, more than 130 species in the gut alone. Probiotics have been proven to affect our overall health. Imbalances in our gut microbiome, or the population of those microbes in our gut, contribute to complex conditions like obesity, inflammatory bowel disease, irritable bowel syndrome, and allergies. Researchers developed a process to grow the majority of bacteria from the gut, the same way gynecologists culture microorganisms from a pap smear. The process was tricky, however, as many of these bacteria cannot survive when exposed to oxygen. 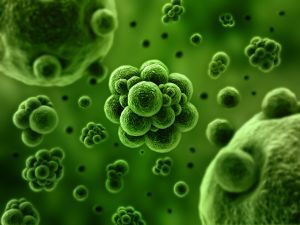 Researchers also found that a third of the microorganisms from a healthy person’s gut are capable of producing spores that can be airborne–implying that not only can people succumb to diseases from each other, but also acquire beneficial microrganisms.